My overall experience is always great with your company. Thank you for your wonderful service. ACUVUE� OASYS� for PRESBYOPIA is the next generation of multifocal contact lenses. People who wear multifocal glasses or have trouble seeing far and near distances can now enjoy having natural clear vision with ACUVUE� OASYS� for PRESBYOPIA multifocal contact lenses. Featuring STEREO PRECISION TECHNOLOGY� that works with the eyes natural function, your eyes will experience clear balanced vision at near, far and in-between across all lighting conditions. 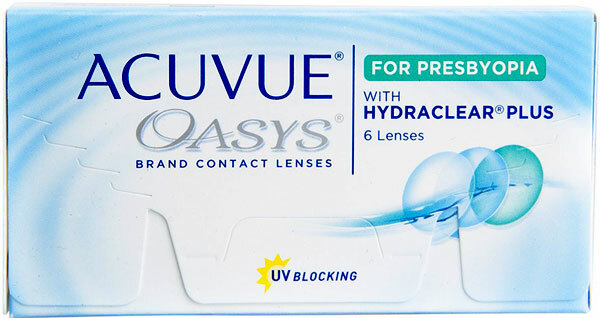 ACUVUE� OASYS� for PRESBYOPIA is part of ACUVUES� latest range of contact lenses and will be available in Australia soon.